Are you ready for All the Trimmings- the newest, awesome release from Catherine Pooler Designs featuring many holiday items?! 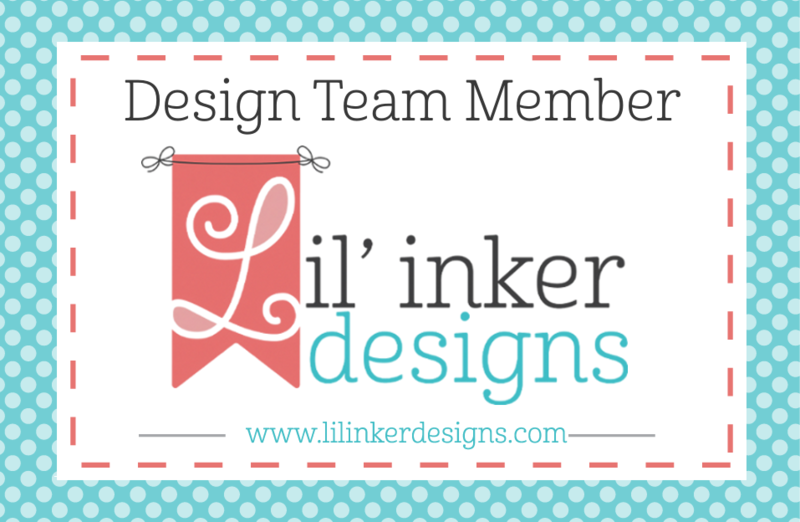 This collection features stamps, coordinating dies, three new ink colors. It is a delightful mix for the holidays. Wow! My first card features the gorgeous Snowglobe Dies, and I love how it turned out! I created a snowglobe wonder full of snowy hills and bucks. This truly is a scene I see many winter days here in Wisconsin. I started by die cutting elements of the snowglobe from Ultra Smooth White Cardstock and then assembled the globe with acetate. I freehanded some hills with Velum Cardstock and die cut with the Snowglobe Dies the bucks from Smoke Cardstock. I then assembled the globe, adding glitter and a few sequins to make some snow. To add authenticity to the snowglobe, I stamped the base with the new Woodgrain Background Stamp onto Sand Dunes Cardstock and shaded it with Copic Markers. To finish the card, I added the plaque, also from the and then a few flourishes Snowglobe Dies in the corner of the card with stamps from the Seasonal Sentiments and Borders Stamp Set and Sweet Sixteen Ink. 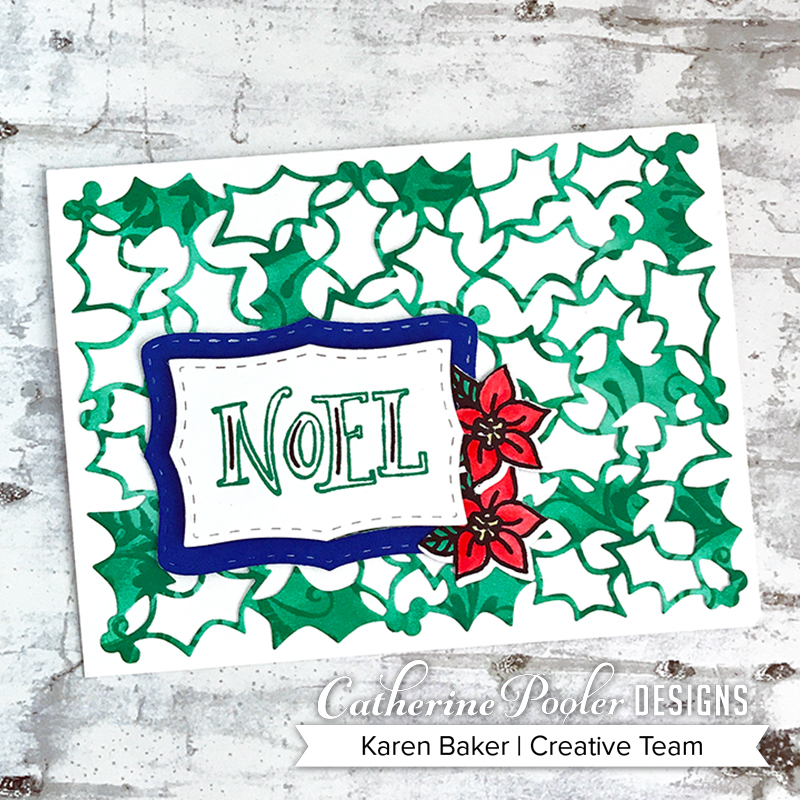 My next card features the show-stopping new ink colors and the Holly and Berries Cover Plate, along with a few other new items! Once again I started with a white card base from Ultra Smooth White Cardstock. I then used the same paper to ink up the new Flourishes Background Stamp in Mardi Gras Ink. Before die cutting the panel with the Holly and Berries Cover Plate, I sponged Mardi Gras Ink right over the flourishes. I then die cut a few of the Nested Labels Dies and colored one with Suede Shoes, and stamped the word Noel from the Seasonal Sentiments and Borders Stamp Set. To finish the card, I stamped and colored with Mardi Gras Ink and Samba Ink with a Dove Blender some poinsettias that were stamped with the Holiday Charms Stamps and die cut with the the Holiday Charms Die Set. Please be sure to hop and comment, as there are prizes! One winner will be chosen to receive a $25 gift certificate to the Catherine Pooler Store! Winners will be announced on Catherine's blog on the evening of Monday, October 22. 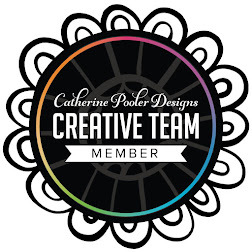 The Catherine Pooler supplies I've used are linked (affiliate links used-products available October 17th) in the body of my post, I hope you have a chance to check them out! LOVE your snow globe! Just gorgeous! Really pretty cards. I think I missed the snow globe die as part of this release!! 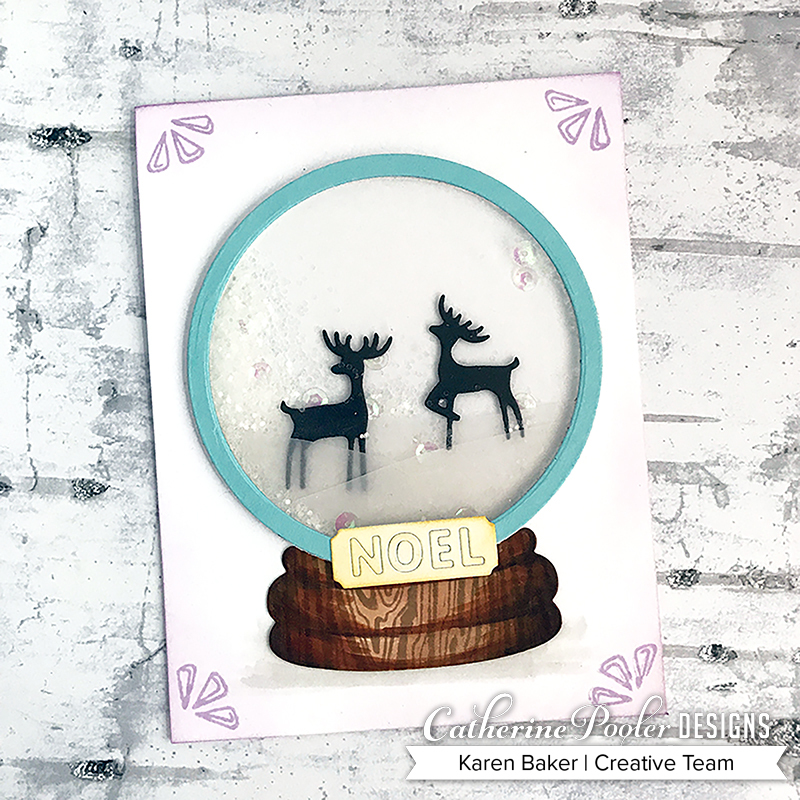 I love that snow globe Karen - the wooden base and the scene inside - so pretty! Beautiful cards, especially my fav the snow globe! Just beautiful! Love that snow globe scene. You made that wood grain come to life. Beautiful cards, Karen!! Using vellum for the snow banks is pure genius! Fun cards! I think these stamps will coordinate well with the Winterhaven collection from last year. Great cards! Love that snow globe. Thanks for sharing. Got to love the snow globe, beautiful cards. Thanks for sharing and being a part of this amazing blog hop for this new release. Lovely cards, Karen. I especially love the snowglobe. That snow globe is darling! Great cards! I love making snow globes! That holly cover die is growing on me every time I see it used. What a beautiful snow globe! 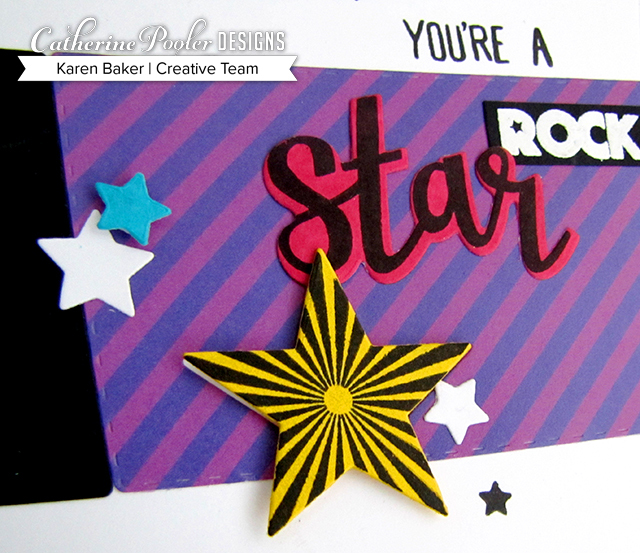 I love the flourish background stamp and how you stamped that before you used the cover plate...brilliant! Love these cards. Especially the snow globe. Thank you for these examples. 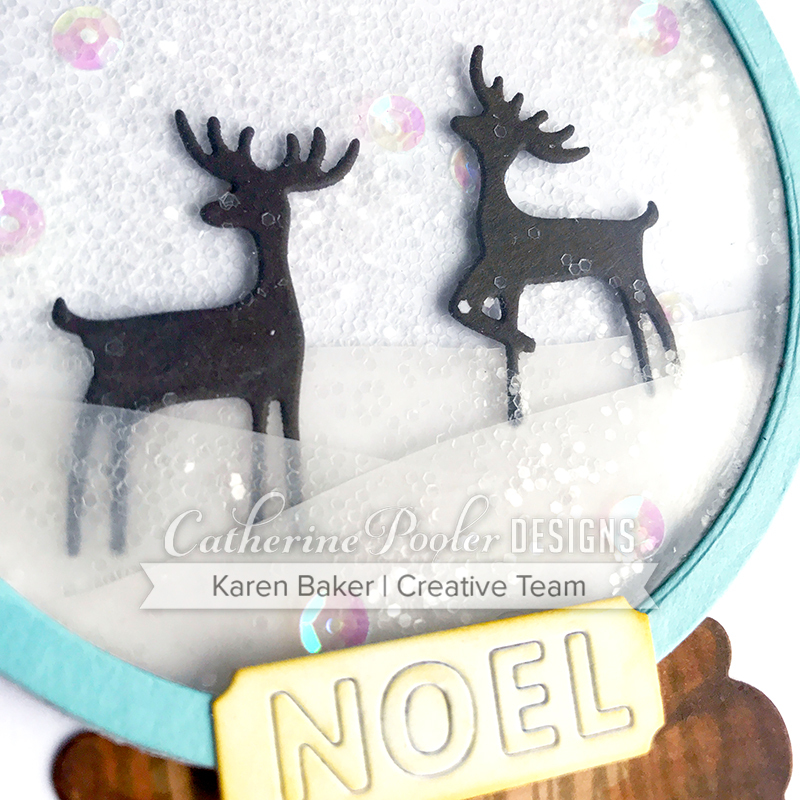 Holly and Berry coverplate die used with the flourish stamp or snowglobe die. Love how you've used each of them. Thanks for the ideas. Gorgeous cards! Really like this new release! 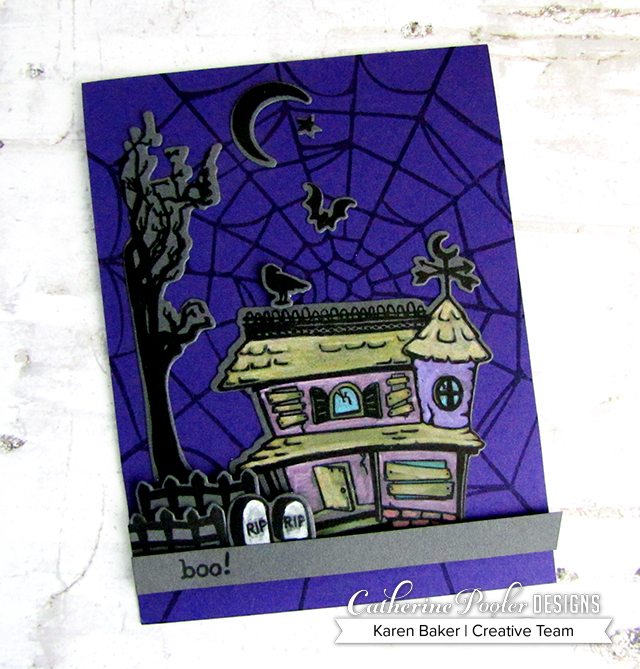 Your cards are so pretty - love the coverplate die and how you used it and that snowglobe card is so so cute! I love the vellum for the snow in the snowglobe!! I adore the snow-globe stamps! How sweet is that scene? And the combo of flourishes and holly is inspired and gorgeous! 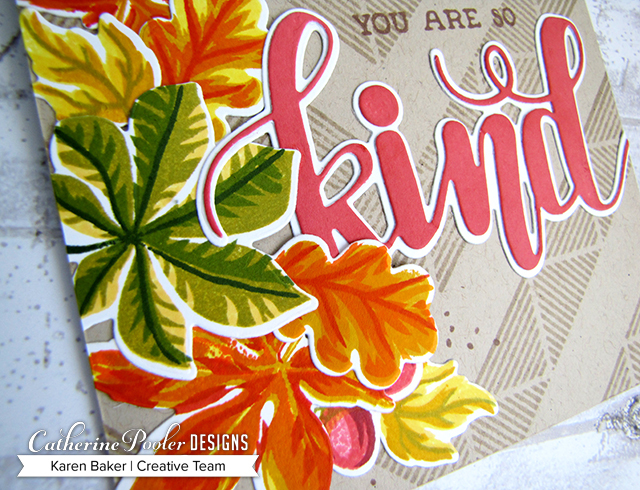 Love the extra texture that provide to the die-cut leaves. Love the winter scene you created in your snow globe. 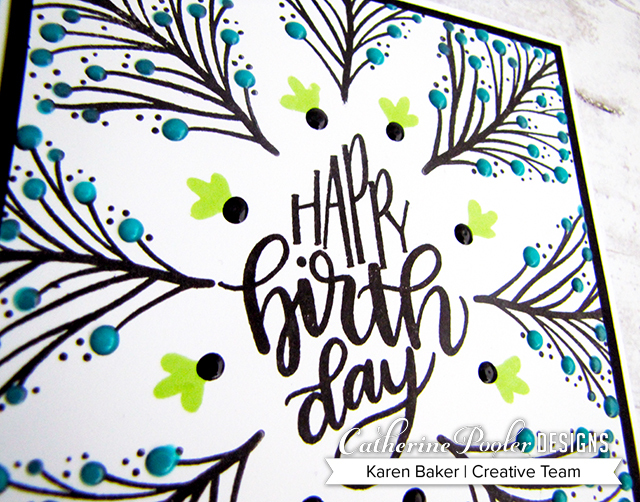 Such a great idea to stamp the Flourish background and then cut it with the cover plate die. I’m in love with everything I see here! You can almost "knock on wood" for the base of your snow globe. I like how you used the background flourish on the holly berry faceplace card. Very good ideas, thanks. Beautiful cards, love the background stamp with the coverplate awesome inspiration. Such a great collection. And you showcased so many of the product with your great cards. I just love the snow globe card. The deer are adorable!! Your snow globe turned out so sweet. Beautiful cards. I love the Holly and Berries cover plate -- gorgeous. 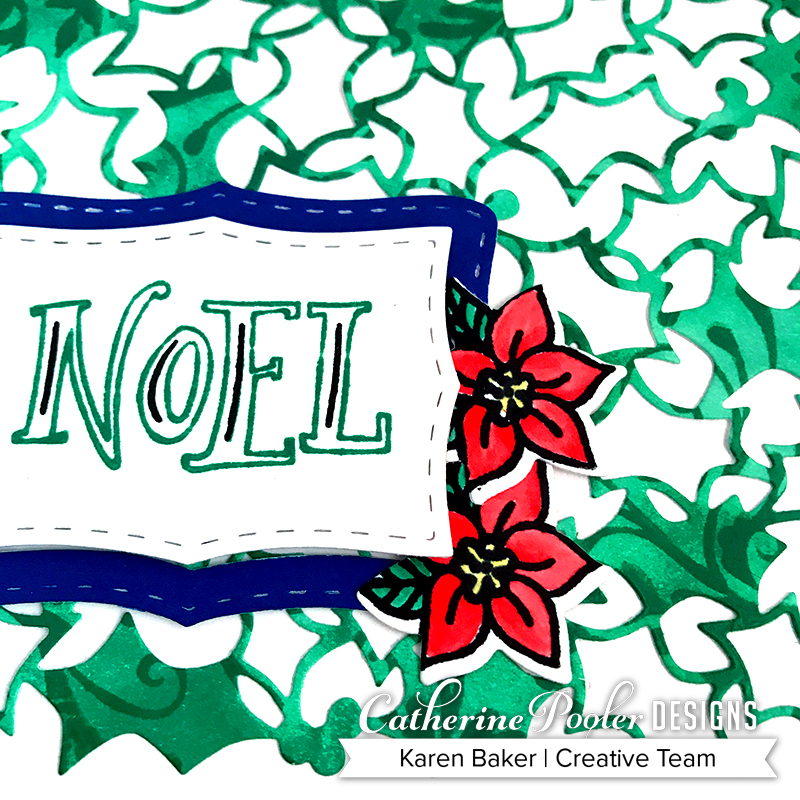 How unique using the Flourishes Background stamp and then cutting out the Holly and Berries Cover Plate. Thanks for sharing your technique! Such cute cards! My favorite is definitely the holly cover die! I love that die! Thanks for sharing your creativity! Such wonderful cards! Love the snow globe. Awesome cards! Love that snowglobe! Wonderful Noel cards. Love the snow globe.